I haven’t posted for a couple of months, due to research and writing up. I look at this year, 2012, and the big anniversary in environmental history is the fiftieth anniversary of Silent Spring. I even delivered a paper at a conference celebrating this anniversary. Yet within British environmental history, and especially in the development of the post-war environmental movement in Britain, 2012 offers other anniversaries. It will be sixty years in December since the great London smog hit that city in 1952 which lead to approximately 12,000 dying, and the subsequent Clean Air Act, reducing air pollution across the country. Forty years ago, The Ecologist magazine published ‘A Blueprint for Survival’ which explored ideas of decentralisation, small and de-industralised societies, using tribal societies as a model. The work was influential and was signed by over 30 leading scientists, although it did receive sharp criticism in Nature which stated that professionals should not tie themselves to works which created public fear. In their own ways, both the smog and Blueprint were influential onthe development of environmentalism in Britain. The former can be described as the first post-war environmental disaster, and led to legislation which reduced air pollution in certain areas. The latter’s authors were invited inearly 1974 to assist the first environmental party in Britain, PEOPLE, to draft a joint manifesto between the party and the authors of Blueprint. Whilst only seven candidates were fielded at the February 1974 general election, mainly in the West Midlands area (PEOPLE began in the city of Coventry), and for many years was unsuccessful at the ballot box, PEOPLE did offer a new kind of politics to the British public. In 1975, PEOPLE changed its name to the Ecology Party, becoming the Green Party in 1985. 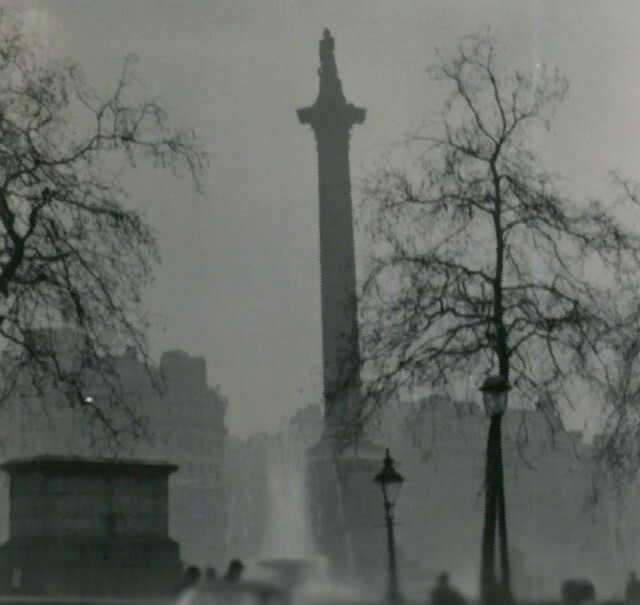 Whilst Silent Spring is critical when considering the emerging post-war environmental movement, the smog of ’52 and the battle against air pollution after the war in various cities across Britain, reflects a developing environmental movement, especially when smoke and smog was seen not just as being a danger to public health but also to the natural environment. And whilst Blueprint was influenced by Carson’s work, appearing when it did at the beginning of the 1970s, it arguably had more impact in Britain with is appearance coming on the back of the Department of the Environment, created in 1970. As part of my research, I am conducting oral interviews with various people who were involved in the green movement in some way. I thought I’d explain a little bit about my experience of oral history. First, the equipment. I use a ZOOM H1 recorder (above) which costs about £80 from Amazon. I bought this model, mainly for price (£80 is at the top of my price range but was one of the cheaper models that records in WAV format). I went on an introduction to oral history course run by the Oral History Society, who suggested we get recorders that record in WAV format for longevity. I am sure there are far better recorders out there, but within my limited budget, this seems to be excellent. I use the two microphones on the machine, rather than using an external. I am impressed with the quality of the recording. It is pretty simple to use too, so I can just set it down and hit record. Before I could undertake any interviews I had to fill out an ethics form, and went on university wide ethics training. The ethics committee approved my project in January. I am focused on gathering information about environmentalism and the interviewee’s place within it, but also I sometimes ask about wider issues and how they relate. When I go to the interviews, after it has finished I give the interviewee an information sheet about what I will do with the data. This states that the information might be used in my thesis but also in journal articles, book chapters, monographs and other academic-related things. I also make the point PhD theses are easily accessible now to the general public through EThOS, the British Library service. I also stress that I am the only person who will have access to them and that they have the right to deny my use of any information for any future publications. I am always careful to maintain confidentiality and there is a section on the information sheet which discusses the use of names. If they do not want their name to be used we can come up with an alias or alternatively a numerical system (e.g. Interviewee 1). I would then be the only person who had access to who they really were. I get them to sign a sheet which states they’ve read and understood the other forms, and I sign one myself and give to them. At each stage of internal assessment during the PhD (we have one at the end of every year – Annual Progression, as well as one 18-months in, Mid-Point Progression) the ethics stuff gets reviewed. I’ve not spoken to many people yet, and confidentiality and data protection is hugely important. All recordings are kept on an external hard drive stored in a locked drawer I only have access to. A lot of people know each other and have also pointed me in the direction of others who may be of use. I’m just getting into this but I’m hoping new people will appear, and I’ve already had some recommendations. I’ve finally finished in the Special Collections at Newcastle University. I was looking the their newspaper, Courier, published from 1948. Other than many, many articles on the state of university food (both price and quality) and accommodation issues, there was little directly related to the environment. In fact most students weren’t involved with any activism, at least if not related to food or board. In the 1960s things slowly changed with issues about civil rights, apartheid in South Africa, and lastly CND (Campaign for Nuclear Disarmament). But there was nothing directed towards the environment. Until, that is, I came to 1972, when issues begin to increase, mostly pertaining to ideas about population growth and sustainability, centred around the publication that year of A Blueprint for Survival (this can be accessed free online on The Ecologist‘s web archive of issues, 1970-1999 here: http://www.theecologist.org/back_archive/19701999/). There is discussion in one article, not of SOC’EM but of another environmental group locally, TEC – Tyneside Environment Concern. They, together with others (the North East section of the Conservation Society and Clean Air for Teesside) wanted a ‘Blueprint for the North East’. The article is interesting, insofar as it links social justice and environmental justice. TEC was holding a festival ‘Planning for People’ which described current planning in the city as crazy. The festival wanted to tackle issues pertaining to the North East – unemployment, the abandonment of mining communities, pollution and dereliction. It questioned whether tackling one would negatively affect another? All the problems could be tackled, the festival argued, by creating a new, sustainable society, a ‘Blueprint for the North East’. Is this an early example of social ecology, argued by Murray Bookchin in Our Synthetic Environment, which said you could only solve environmental problems by solving social problems? I’m not sure – I don’t know how the festival was received. TEC do claim they are concerned with the quality of life, but more bothered about rampant materialism on the lives of everyone.